On our way to one of the schools in the Chiefdom of Moono, we stopped off at the Nambala Clinic. Although it was busy with many expectant mothers, with Thursday being the antenatal clinic day, Dr Shadrack Sichilindi gave us some of his time to answer our questions, which we appreciated. The film crew set up in the office, while we waited outside and spoke with some of the ladies, who wanted photos with us, and to show us photos of their children stored on their cell phones. 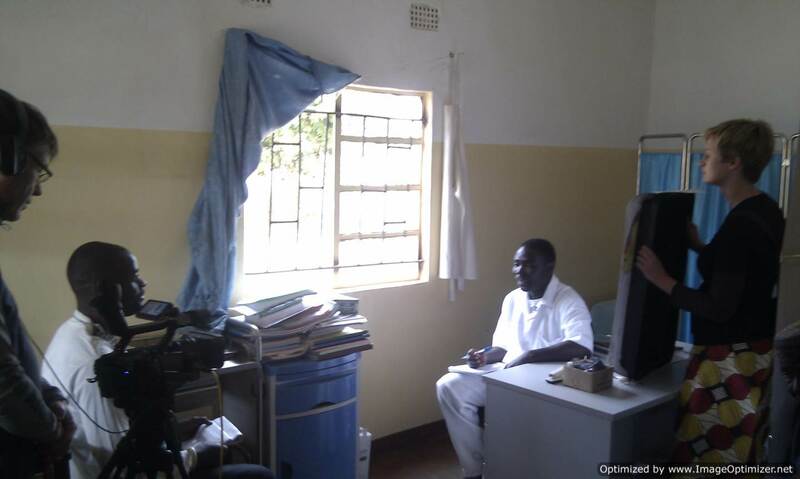 Dr Sichilindi, dressed in his white medical uniform, echoed what the other clinic in Kabulwebulwe Chiefdom revealed to us too. He summed it up in one statement: “Many lives could be saved if we had access to modern technology for communication”. Being able to phone for an ambulance (and having roads that allow for access!) would be a good start, as well as being able to phone ahead to hospitals to give information, or get information, and speak with patients when needed. 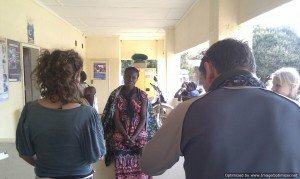 Our interview was interrupted with an emergency when the Doctor was called to see to a child that had been brought in who had cut her hand badly. Audrey Shangala, a patient patient, had been waiting since 6:00 in the morning to see a physician. 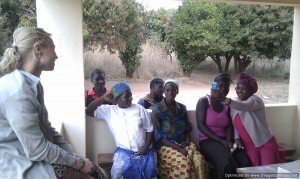 She was 7 months pregnant with her fourth child, and shared with us how if everyone in her village had a mobile phone, it would help with communication, especially if there were any accidents at night. Realising that we had taken up too much of the Doctors precious time, and with some elders from the Moono Palace calling to see where we were, we bid our farewells to Nambala clinic, and headed on our way back to the Palace, via the school…. to be continued. This entry was posted in Palace Expedition and tagged clinic by CA. Bookmark the permalink.